A repost from October 2012. 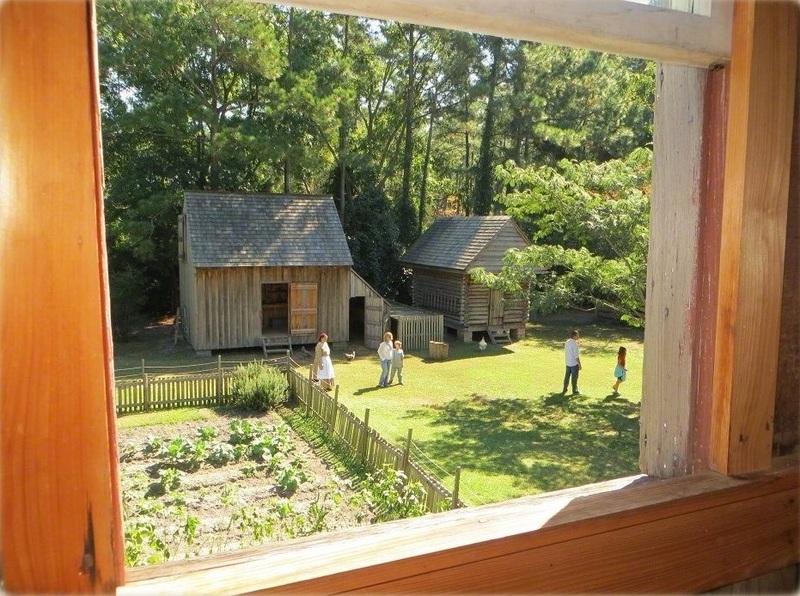 “We’re a hands-on museum,” said the woman in the visitor center of the Island Farm in Manteo, North Carolina. “Open cupboards. Go anywhere and everywhere. Touch whatever you want, except the animals. You can feed the chickens, though. 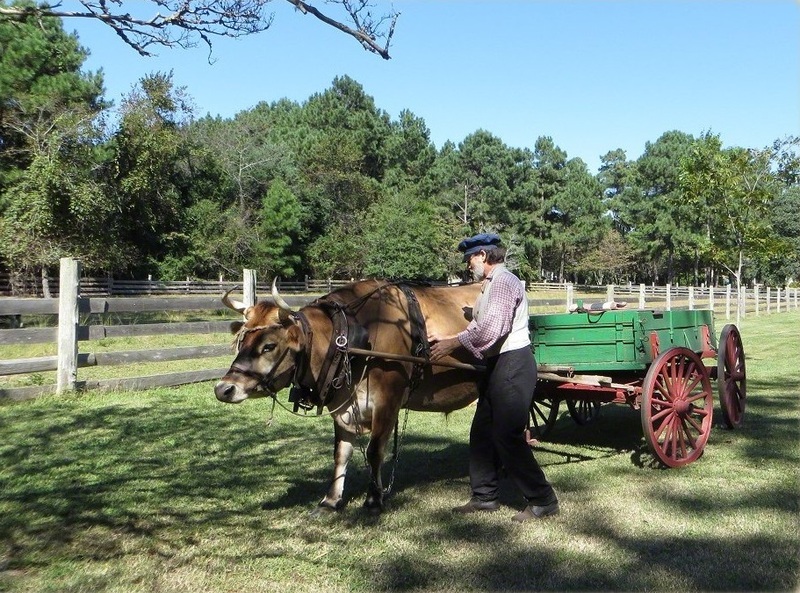 And Charlie will take you for a ride in his wagon.” Charlie the ox, that is. 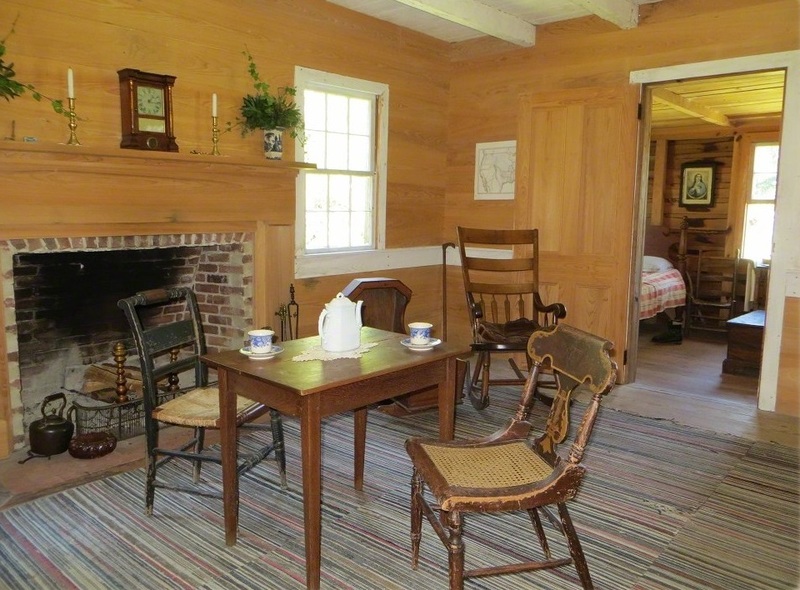 Island Farm is a living museum presenting domestic life on Roanoke Island in the mid-1800s, housed on property once owned by the Etheridge family. Most of the northern end of Roanoke Island belonged to the Etheridges. The first recorded Etheridge was Adam, a planter who leased 1500 acres of land on Roanoke Sound in 1757. Adam’s son, Jesse, bought 150 acres of that land in 1783. 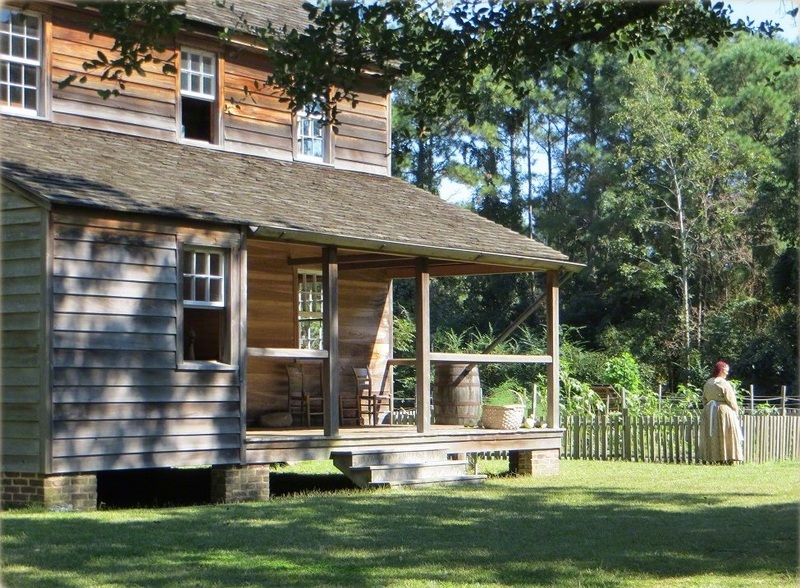 A house built on that land by Jesse’s grandson, another Adam, around 1845 is now the centerpiece of Island Farm. The Etheridges donated it to the Outer Banks Conservationists in 1997. I passed Charlie as I left the visitor center, on my way to the house. An interpreter was hitching him up to a wagon and Charlie was not happy about it. “Charlie is a little restless this morning,” said the interpreter, as Charlie made like a Pamplona bull and stamped his front hooves, “but he’ll settle down.” Charlie turned to look at me and snorted. “You can have a wagon ride in a few minutes.” No, thank you. I took the ticket seller at her word and riffled through books, opened cabinets and looked for markings on the pottery as I wandered through the farm house. Most of the furnishings are reproductions or vintage, giving the house a lived in look — as if each generation added their furniture in turn. By the time the OBC acquired the property, the house (which had been a rental for the previous 30 years) was in sad shape, all of the dependencies had been torn down and all but 2½ acres of the original 150 acre tract sold for development. Fortunately, there were lots of early 20th century photographs of the farm and the OBC was able to reconstruct many of the farm buildings. A fact that I didn’t know…never really thought about…will probably never use: a three hole privy doesn’t have three holes so that three people can use them at the same time. It has three holes so that people of different sizes can use the one that fits them. Nineteenth century privy holes were not one-size-fits-all. The Adam Etheridge who owned the farm during the Civil War did not enlist and perhaps it was for that reason that he did not lose his land. Union troops occupied many of the buildings on the island’s north side, but not Adam’s. Much of the area around him was confiscated to be part of a Freedmen’s Village, but again, not Adam’s. After the Civil War, many of the Etheridge men turned to lifesaving and lighthouse keeping. An Etheridge was the keeper of the Kill Devil Hills Lifesaving Station during the time that Wilbur and Orville Wright were there and witnessed their first machine powered flight. I looked out of a window and saw that Charlie had decided to express his displeasure by taking a wagon-load of visitors on a gallop down a bumpy farm road. The handler soon had him under control but for a few seconds, the kids were not complaining about the lack of thrills at a historic site. Gallery | This entry was posted in North Carolina. Bookmark the permalink. Lots of vegetables in the garden. And Charlie was a scream. Very expressive.